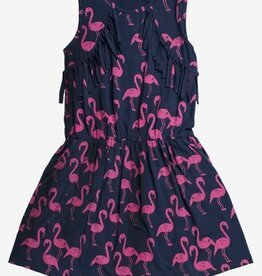 A printed jersey dress in a flamingo print featuring fringe on the front and side pockets. 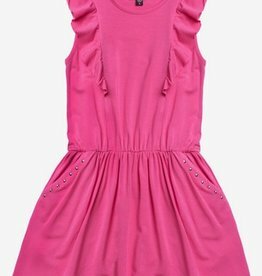 Imoga has designed a sweet dress in a candy pink color featuring ruffles over the shoulders and embellished side pockets. 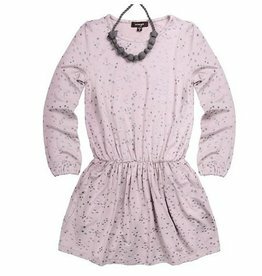 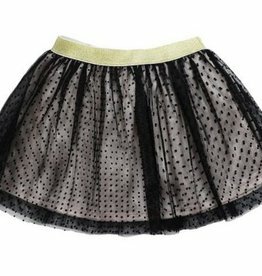 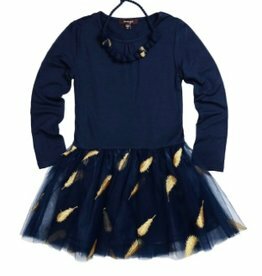 Made in 95% viscose / 5% spandex, machine wash cold. 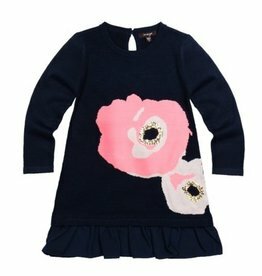 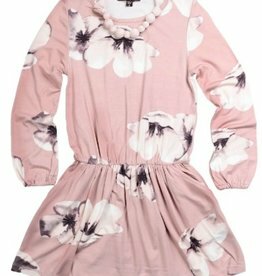 Imoga Floral Joyce Ruffle Dress. 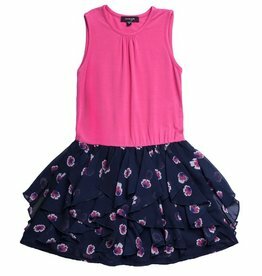 The bodice is a soft knit in pink.